MDMA therapy is interesting because it's usually regarded as a "party drug" as compared to "more serious" drugs like psychedelics. But it looks like it's very useful for some types of therapy! Last warning before you're banned from the site. Interesting, thanks for the info! As someone from Norway, have you by chance heard anything about Switzerland's server security as compared to Norway's? Belgium is a no-go because then we're subject to EU laws. Actually Norway is also not in the European Union (which is part of the reason why it's got such good privacy laws). But that's a very good point about article 13. EU countries are out of the running. Welcome! We're neither left nor right wing, that's basically the whole point of the site. Check out the pyramid of debate, it's the key to this site's culture. Let me know if you have any other questions! Yeah it's a per-sub setting. It'd be cool if they were site-wide. It's a lot less effort than building an alternate title system! That's kind of my thinking too. Alright, we can always give it a try. I'm not exactly shy about giving feedback. If it won't work out I assume we'd figure it out pretty quickly. I'm not concerned about saidit getting big, tbh. I am concerned about it being a high-quality place. If that stifles our growth, then we accept that. Same reason we don't have ads. This is about the community and the quality of information, not view numbers. Anyway, thanks for the discussion. I wish you the best. A little like the true reddit sub maybe? Yeah, that's a good example! It's not going to be easy to do, that's for sure. But we just want to avoid becoming the extremes of voat and reddit. So much so this site used to be called antiextremes, because we just wanted a 3rd place to be free of the hatred and racism that paluge voat, and the insane amounts of censorship that plague reddit. It's a tight line to walk, but we're trying. I do intend to apply the debate sub model to every sub, because most subs in reality are pushing an ideology one way or another so debates inevitably break out. 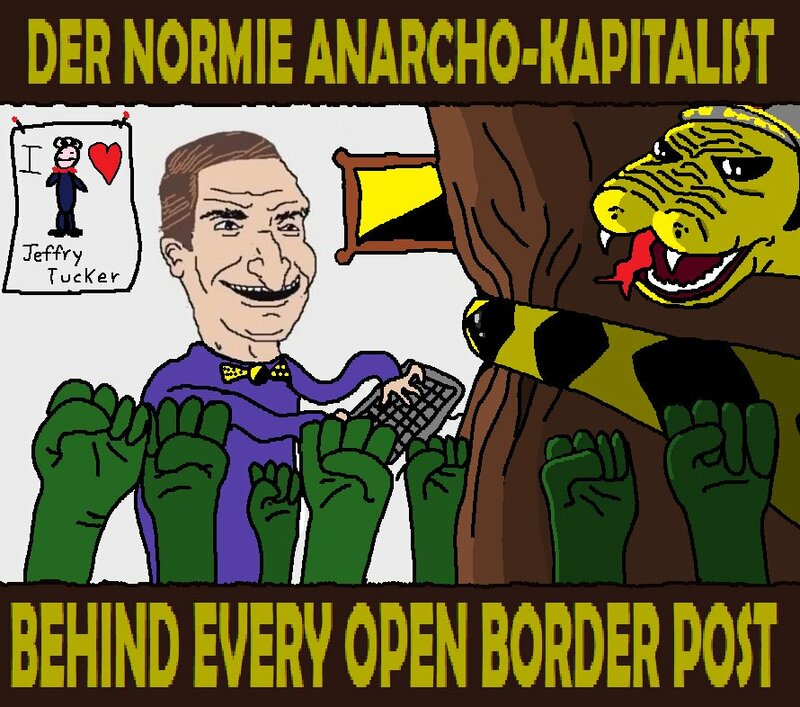 I'm not a huge fan of cringeanarchy but I wouldn't ban it because it's not fomenting hatred against broad groups of people. I'm not going to invest the enormous amount of time to grow and moderate subreddits and make them interesting and fun if the site admins are just going to destroy them for political reasons. Now you know how I feel about people posting hateful shitposts and filling up this site with garbage! It's the same thing. How do I know you're not going to use 'respectability' as a way to ban me and my communities as well? How do I know you're not going to use MDE to force a bunch of garbage content on to the site to destroy saidit? There are people looking to do this, you realize. I've put WAAAAY more time in to saidit than you ever will. YOU need to sell yourself to US. The community here would be fine without you, if you're going to go around accusing everyone of being jews and saying you're going to defame the site everywhere when they disagree with you slightly. You want to show me how mature you are? Then show me, don't tell me. Actions speak louder than words, and a few minutes ago you were just slinging around accusations and saying you wished to defame the site. If you want to be respected, then earn it. You are a visitor here. We are glad to have visitors, but not if they're going to drag things down the pyramid of debate constantly. If you don't act that way, then there will be no problem. But if you do act that way, then you are not welcome. If that costs us users, then so be it. What are we losing anyway? Just a bunch of blind anger and pointless uninformed rage. So if you don't exhibit those characteristics on a regular basis, there will be no need for anyone to do anything. It's not about ideology, it's about character and decorum. That's my agenda. To have a nice place to hang out with real humans, that isn't just a slew of race-based shitposts like voat is. I really don't think that's asking anything too crazy. You also just showed your true character and intent, as well as the intent and true character of this sub. Not pretty. Glad to see you go if this is how you plan to behave.